The villainous effect of sun is established with the help of a phototoxic agent Psoralea corylifolia. The effect of Evefresh in protecting skin from sun induced tanning was studied after single and seven day application separately. Evefresh has shown remarkable tanning protection effect essentially due to the two important herbs Aloe vera and Curcuma zedoaria validating the sanctity of Siddha system of medicine. Sun induced tanning is quite common during summer and early winter and the problem of tanning is acute and become more pronounced in tropical regions. Although the effect of tanning may be transient but the intensity of UV irradiation can damage the tissues and that can result in delayed and or persistent pigment darkening [1,2]. The products for sun protection and tanning protection are often evaluated for SPF (Sun Protection Factor) and such studies are largely done by using solar stimulators [3-5]. However the efficacy of these products in real situation is less known because the intensity of UVA and UVB in sunlight during different seasons and in different geographical regions differs greatly. The effect of Evefresh a proprietary Siddha product in down-regulating melanogenesis and melanin transfer are well established in our previous studies. The present study was undertaken to understand the real product efficacy of Evefresh cream against sun induced tanning and details are presented in the paper. Healthy volunteers who are mostly engaged in indoor occupation (free from sun exposure) were chosen for the study . Evefresh is the proprietary Siddha drug composed of 1% Aloe vera and 0.2% Curcuma zedoaria in cream base. To establish the extent of tanning sun exposure can implicate in different individuals, the study was done. The volar forearm region of 20 healthy volunteers were chosen for the study and area demarcated was divided into two equal halves. 0.1 ml of 1% Psoralea corylifolia extract was applied over 1 cm2 areas and was allowed to get absorbed. After absorption, the extract applied region was exposed to sun for 10 min by covering rest of the skin region using UV block cloth. Simultaneously, the control region (without any treatment) was also exposed to sun for comparison. After 10 min of sun exposure, the skin was read using Mexameter to record the extent of tanning that had occurred. The delayed pigment darkening and the persistent pigment darkening were assessed on subsequent days up to 10 days and the findings were recorded. Twenty volunteers were chosen for the study. The effect of Evefresh in offering immediate tanning protection was evaluated by the method described above. Similarly the effect of Evefresh in tanning protection after one week of continuous usage was also evaluated as per the method described above. The extent of tanning in Evefresh untreated skin exposed to sun was used as control. In order to establish the tanning protection benefit of Evefresh on continuous usage for a period of one week a separate study was conducted on 20 volunteers by following the methodology described above. The skin treated with Psoralea corylifolia extract when exposed to sun for 10 min showed increased melanisation in 14/20 volunteers during visual examination. When the readings were taken using Mexameter from all the volunteers, 11% increase in melanin value was observed in cumulative terms (Table 1). Table 1: Study to establish the villainous role of sun after single day exposure (10 min). 9/20 of volunteers showed deep red pigmentation on the next day where P. corylifolia extract was applied and exposed to sun and the red pigmentation turned brown on the subsequent days and became persistent pigment darkening which lasted for more than 4 months. 6/20 volunteers in the control group showed slight redness in the sun exposed region within 3 h; however the above pigmentary change got diffused and resolved subsequently. The mean of Group One minus Group Two equals -37.00. 95% confidence interval of this difference: From -43.13 to -30.87. • The intensity of UV A or B at the time of sun exposure might have been too high. • The quantity of cream used that is 1 mg/cm2 area for the study might have been too small with reference to intensity of sun hence could offer only minimal protection. • It is also possible that the pre-formed melanosomes may require only small trigger of sun exposure which the Evefresh may not able to prevent. 5/20 volunteers in the control group exhibited mild erythema formation within 3 h however which resolved afterwards. The Mexameter evaluation has shown that Evefresh had decreased melanin value to 5% on cumulative terms whereas 7% increase the melanin value was observed in control groups on cumulative terms (Table 2). Student T test was performed to establish the statistical significance of the treatment versus control and the result was found to be statistically significant with P value less than 0.05. Table 2: Study to establish tanning protection of Evefresh over single day usage. The mean of Group One minus Group Two equals -27.75. 95% confidence interval of this difference: From -38.61 to -16.89. The sun protection effect of Evefresh is statistically significant when compared to control. The tanning protection effect of Evefresh over one week usage showed that Evefresh offered significant protection from tanning when we consider the extent of tanning observed in the case of control group i.e., 16% in cumulative terms (Table 3). Table 3: Study to establish tanning protection of Evefresh over one week usage. In an unexposed area Evefresh has offered the skin lightening benefit of 4.4% on cumulative terms (Table 3). All the 20/20 volunteers in control group with sun exposure showed increased erythema within 1 h of the study and subsequently the reaction had faded. Student T test was performed to establish the statistical significance of the treatment versus control and the result was found to be statistically significant with P value less than 0.05. The mean of Group One minus Group Two equals 86.80. 95% confidence interval of this difference: From 61.84 to 111.76. The cumulative sun protection effect of Evefresh over one week usage is statistically significant when compared to untreated control. The present study has undisputedly proved the villainous role of sun in causing skin tanning. Such skin tanning on cumulative basis can turns to persistent pigment darkening and other associated skin problems such as malignancy, lentigo etc. [7,8]. 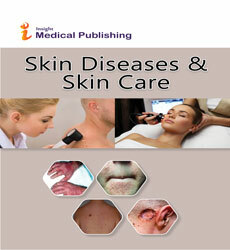 • The intensity of UV A or UV B at the time of sun exposure might have been too high. • It is also possible that the pre-formed melanosomes may require only small trigger of sun exposure which Evefresh may not able to prevent. In order to prove the above postulate we have conducted a study on the effect of one week usage of Evefresh in protecting skin tanning from sun exposure. The study findings have clearly shown that the effect of Evefresh is remarkable and in assumption terms Evefresh offered protection above 16% on cumulative terms. This value we have arrived from the extent of tanning that had occurred in the control group over one week exposure to sun. In the above group the extent of tanning was 16%. It means Evefresh has protected the tanning of the skin to 16%. The possible explanation for tanning protection is due to inhibition of melanosome transfer. In our earlier study we have clearly demonstrated the dendrite inhibition effect of Evefresh. Similarly, we have also established the photo protection of Evefresh using cyanotype paper, which is the most photosensitive paper . The present investigation has clearly demonstrated that Evefresh can not only down regulate melanogenesis, inhibit tyrosinase, inhibit dendrite length and number but also all such benefits are translated in real situation where the skin is when exposed to sun protect the skin from tanning possibly due to melanosome transfer inhibition. The photo protective effects of Evefresh increase its wide usage to all photo sensitive condition. Herbert H, Gerold SWA (1986) Immediatepigment darkening phenomenon: a re-evaluation of its mechanisms. J Invest Dermatol 87: 648-652. Routaboul C, Denis A, Vinche A (1999) Immediate pigment darkening: description, kinetic and biological function. Eur J Dermatol 9: 95-99. Kays H, Kaidbey, Angelit B (1991) Determination of UVA protection factors by means of immediate pigment darkening in normal skin. J Am AcadDermatol 25: 262-266. John D’Orazio, Stuart J, Alexandra A, Timothy S(2013) UV Radiation and the Skin.Int J Mol Sci 14: 12222-12248. Lowe NJ (2006) An overview of ultraviolet radiation, sunscreens, and photo-induced dermatoses. Dermatol Clin 24:9-7. Arunothayam M, Krishnamoorthy JR, Gayathri R, Ranganathan S (2012) Dermal melanogenesis in response to combination of Curcuma zedoaria and Aloe vera-A Mexameter base evaluation. J ApplCometol30: 129-136. McKenna JK, Florell SR, Goldman GD, Bowen GM (2006) Lentigomaligna/lentigomaligna melanoma: current state of diagnosis and treatment. DermatolSurg 32: 493-504. Green A, Little JH, Weedon D (1983)The diagnosis of Hutchinson's melanotic freckle (Lentigomaligna) in Queensland. Pathology 15: 33-35. Khushboo PS, Jadhav VM, Kadam VJ, Sathe NS (2010)Psoralea corylifolia Linn. Pharmacogn Rev4:69-76. Aruna V, Soundharya R,Gayathri R (2017) Efficacy or exaggeration-the likely role of Evefresh cream for SLE. Drug Designing 6: 1-3.